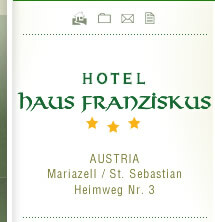 The three star Hotel Haus Franziskus is located in Austria, Styria, on the border of Mariazell and St. Sebastian. 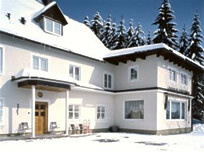 Only a 10-12 minute pleasant walk separates us from the Basilica and the main ski lift in downtown Mariazell. 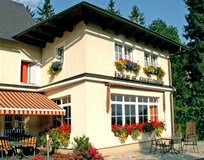 The hotel lies in wonderful mountainous surroundings and is still easy to reach by every means of transportation. We provide free parking to our guests whether they arrive by car or bus right at the hotel. 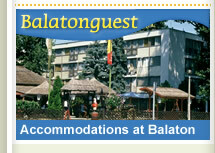 We provide comfortable accommodation and wide range of services for all of our guests. The hotel has its own restaurant and cafeteria. 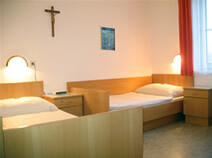 We accommodate our guests in 2 bedded or double bedded (spare beds are available on request) rooms with bathrooms. 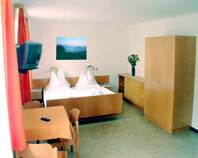 The modern style and comfortable rooms come with SAT TV and radio. 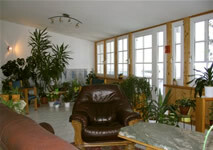 The Hotel has its own panorama terrace which is unique among other Mariazell Land accommodations. 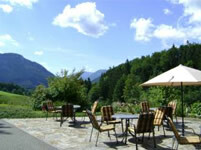 From the terrace and from the restaurant we have a wonderful view to the surrounding mountains, like Gemeindealpe. The non-smoking hotel has an elevator and rooms for the handicapped. We are also prepared to receive families with small children: we provide children beds and have a safe playing room for the little ones. 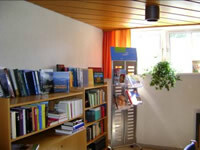 One of the hotels other uniqueness is its own Chapel, where all believers and religious groups are freely welcome to use.